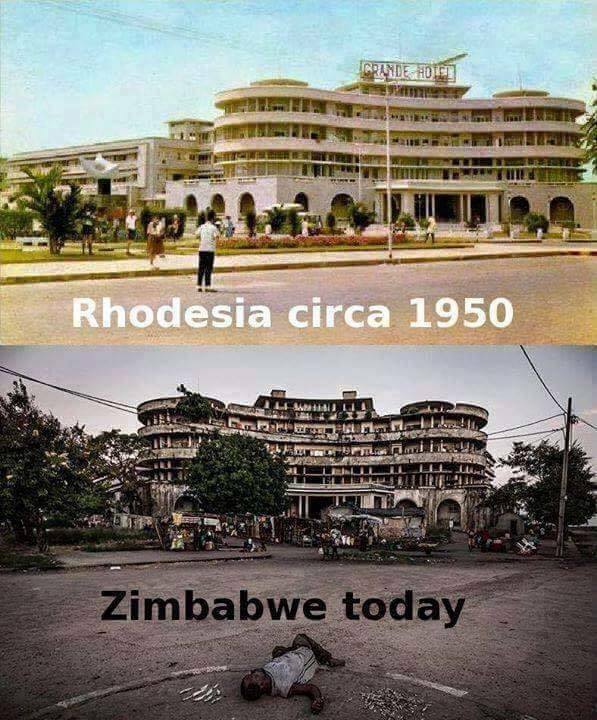 The picture is of the Grand Hotel in Mozambique, not Zimbabwe (Rhodesia). Such factual inaccuracies say a lot about the attitudes of many who benefited and actively participated in the terrible colonial practices that were a feature of the region. This has now been replaced by a form of ‘self-justification’ by colonialists (and they do still exist) who argue that ‘even though you were oppressed by a minority in your country, at least you had fancy hotels’. The counter argument would be ‘better to be a poor freeman than a well fed slave’.